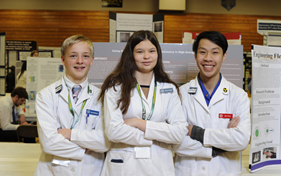 This year is the 60th anniversary of the Washington State Science & Engineering Fair in Bremerton Mar 31-Apr 1, and we expect a record turnout. We need about 150 judges to execute the event properly. So far the number of judges signed up is about half of that. If we don’t have enough judges, students may spend all day at their project and only get interviewed once or twice. This is discouraging for students who have spent months on their effort and hope to receive praise and encouragement from interaction with adults and professionals. A shortage of judges also makes it very challenging to judge 600 students, select the awards fairly, and keep to the schedule. Many students have expressed that the interaction with adults and scientific professionals during judging is the best part of the event. A former UW President once noted that Washington is “at the bottom in the production of scientists and engineers,” and warned that our graduates “will be washing the cars for the people who come here for the best jobs.” This is one way to make a difference, encouraging a passion for science in the next generation.